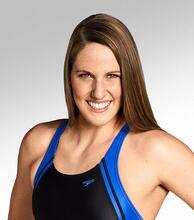 Missy Franklin, Olympic Champion, professional swimmer, and USA Swimming Foundation Ambassador, to enhance opportunities for children to learn to swim on a global scale and grow the brand family. Missy Franklin will play an integral role in helping SafeSplash continue to evolve its innovative and effective teaching methods for kids. SafeSplash’s curriculum is built around proprietary teaching methods based on the learnings from teaching more than 7 million swimming lessons. Using this model as a base, Franklin will focus on enhancing the elements of the curriculum focused on competitive swim technique and also on developing additional ways for kids to learn to love the water.